While searching for new recipes to share with my children, I stumbled upon this sweet little cookbook with great recipes to get children involved in the cooking process. I am ashamed to say, however, that the first recipe I found interesting enough to make, I tailored for my husband and I.
I know, I know, mother of the year award right here! While I do plan to find something in the cookbook that I can coax my children into trying, sustaining myself in the process has proven to be delicious. I love the basic ingredients, and that you can change the ingredients up to fit the season, or more importantly, your mood. 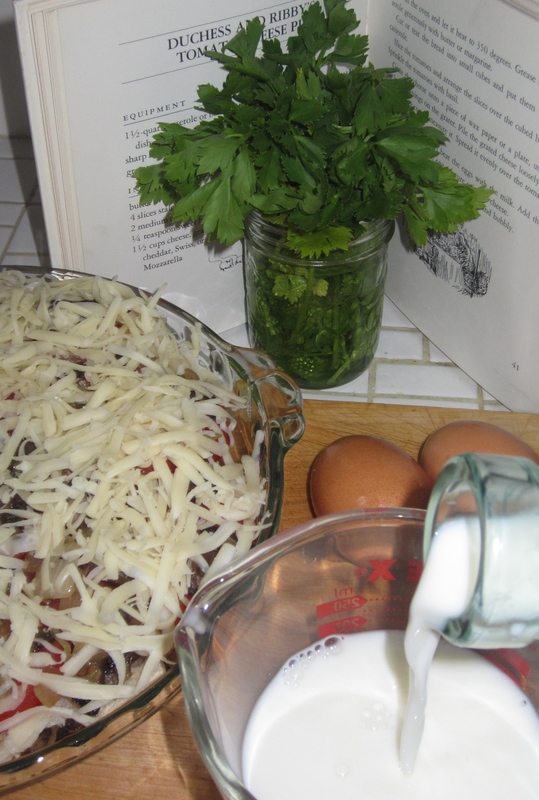 The original recipe called for stale bread, your choice of cheese, and 1/4 tsp sweet basil leaves. I recommend using a loaf of cubed Flour Garden rustic bread, which Farm Table members can order as an add-on in their weekly box. 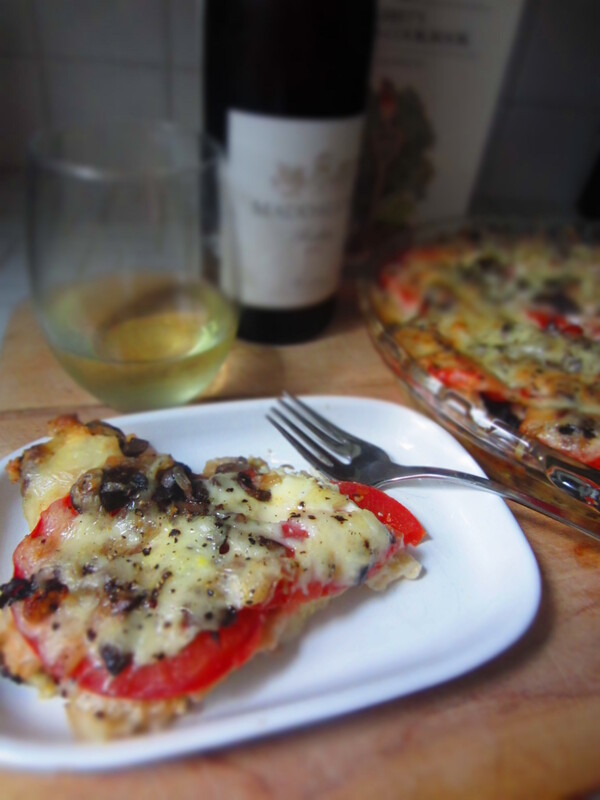 This recipe is great as a brunch item, or pair it with a salad and chilled white wine for a fabulous, easy, and light dinner. If you have kids, I’m sure they would love it with some apple juice, and sliced fruit. 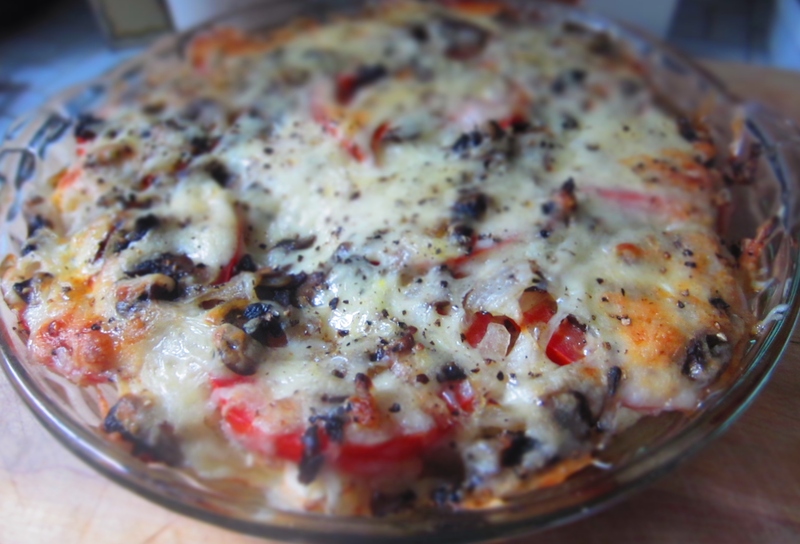 Prepare mushrooms (clean with dry cloth). Heat 1-2 Tbs of olive oil in a skillet. When the oil begins to soak, fry mushrooms for a few minutes. Add onions and allow to caramelize. Set aside. Place bread cubes in the bottom of a greased pie dish. 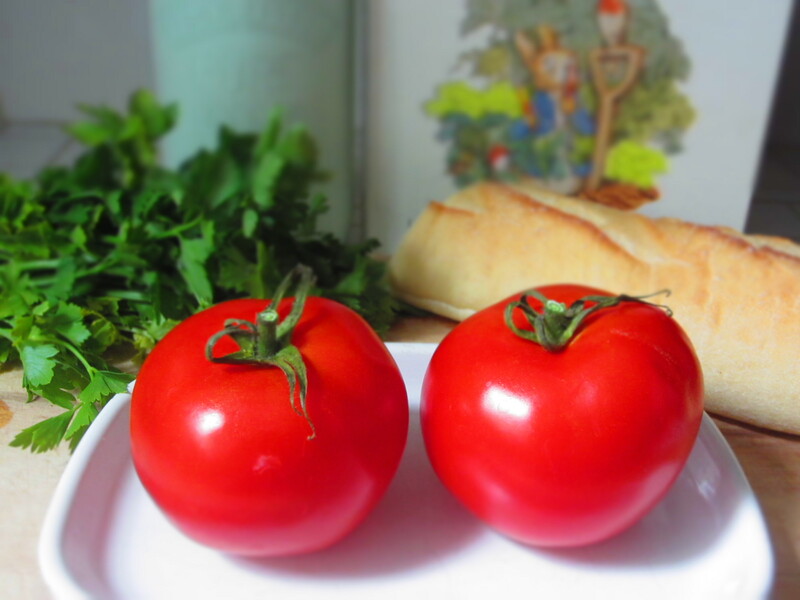 Place sliced tomatoes over the top of cubed bread, and season with Kosher salt. 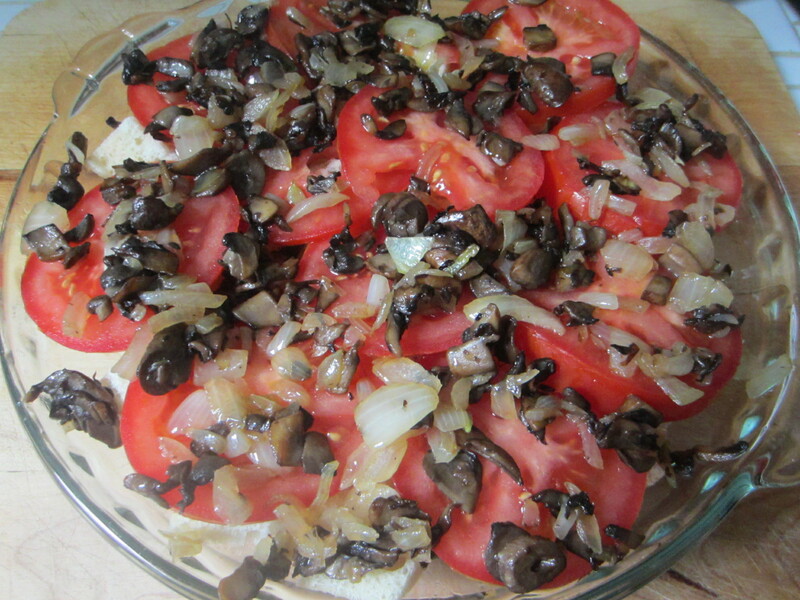 Cover the tomatoes evenly with the mushroom and onion mixture. Sprinkle Swiss cheese over the top. Mix together milk, eggs, and ground pepper. Pour over the top of the pie. Bake in the oven for 35-40 minutes at 350 degrees.